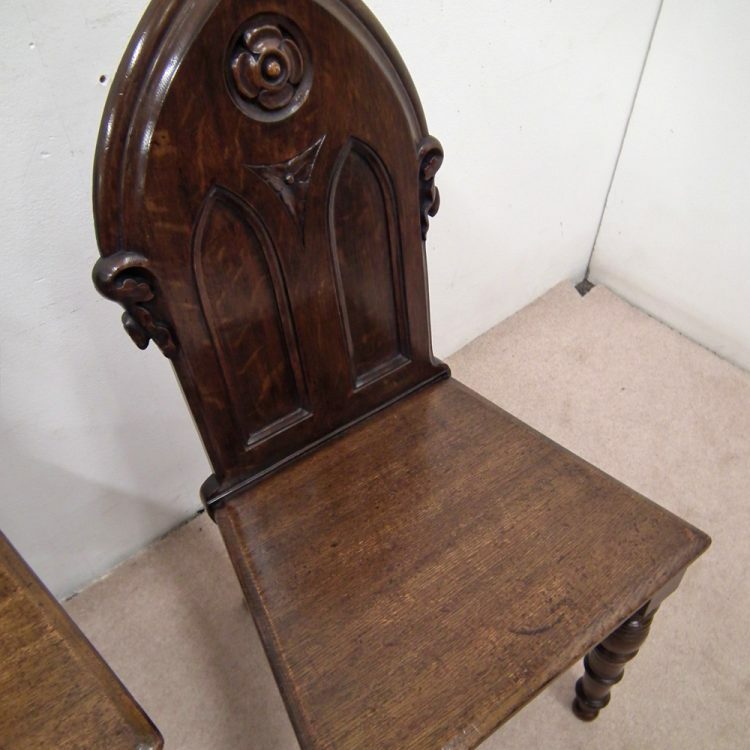 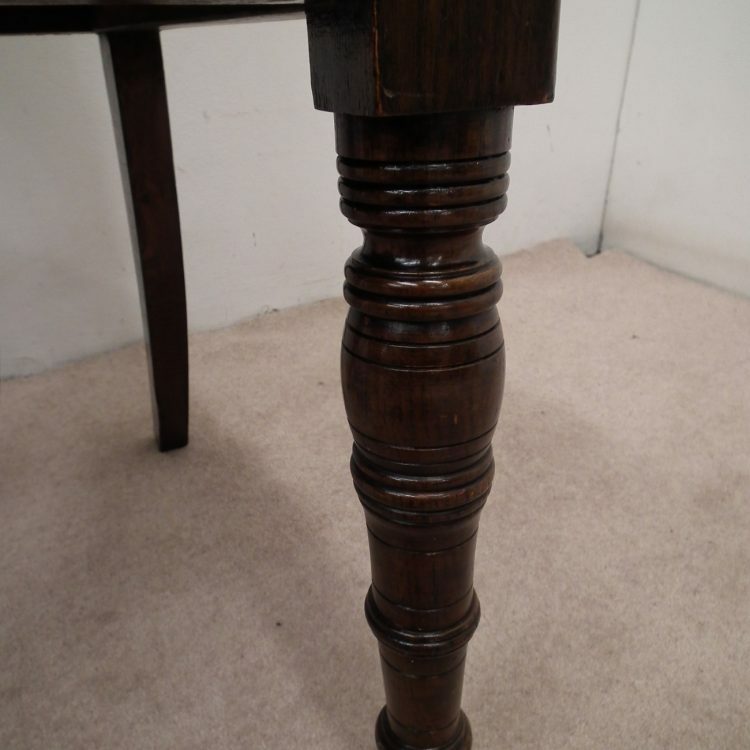 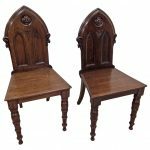 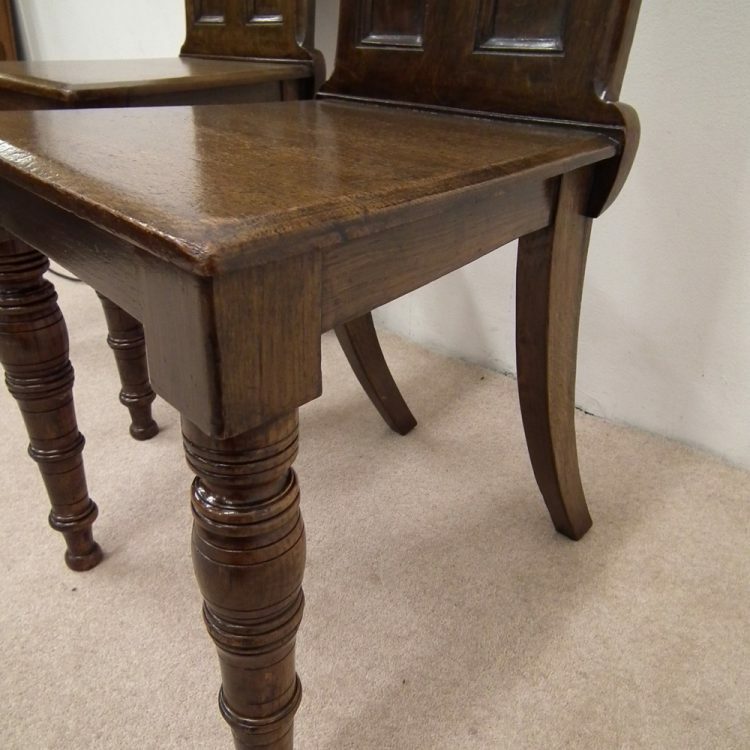 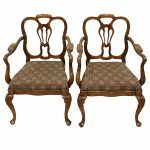 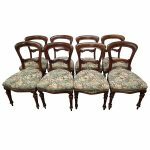 Circa 1880, pair of oak Gothic revival hall chairs. 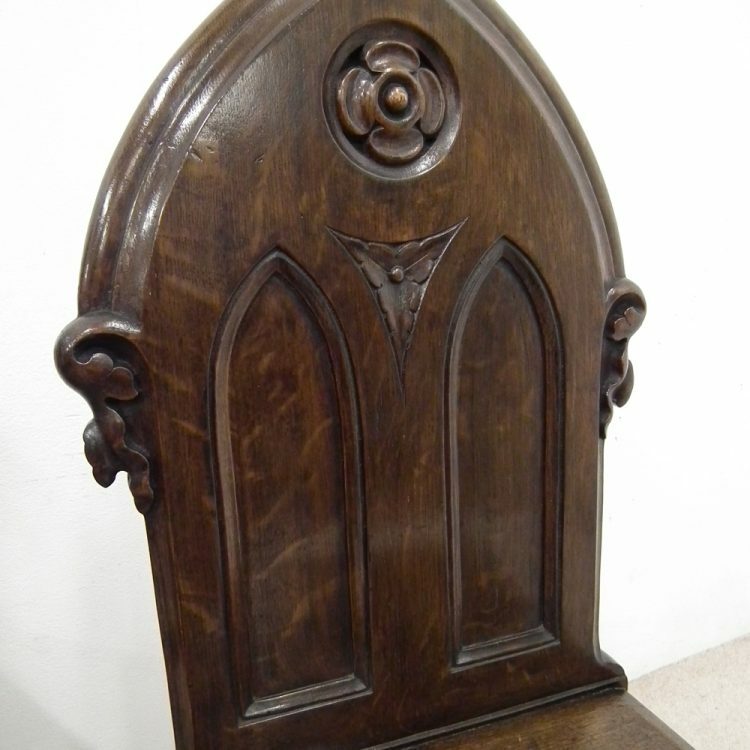 With an arched back and 2 arched panels, with carved rosette to the centre and small foliate carvings to the sides. 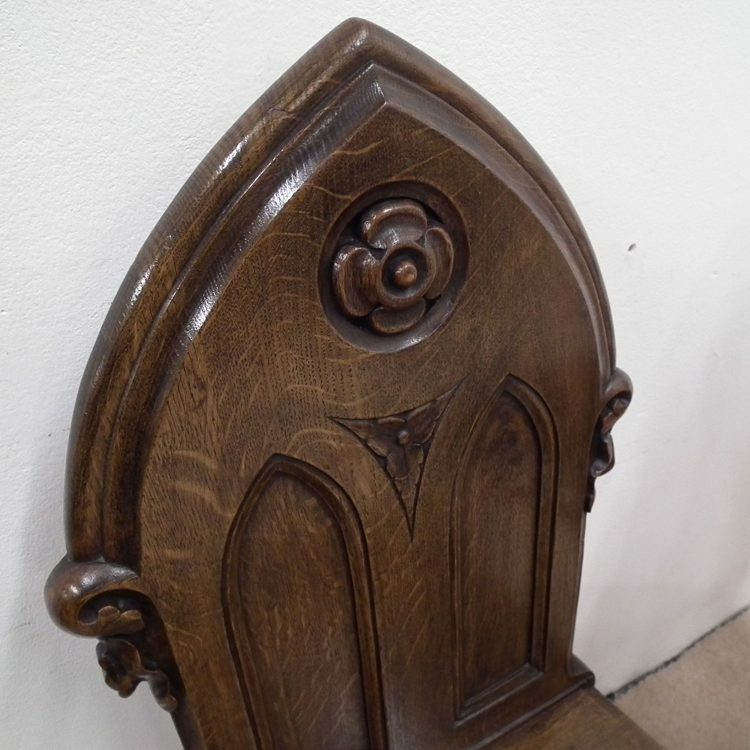 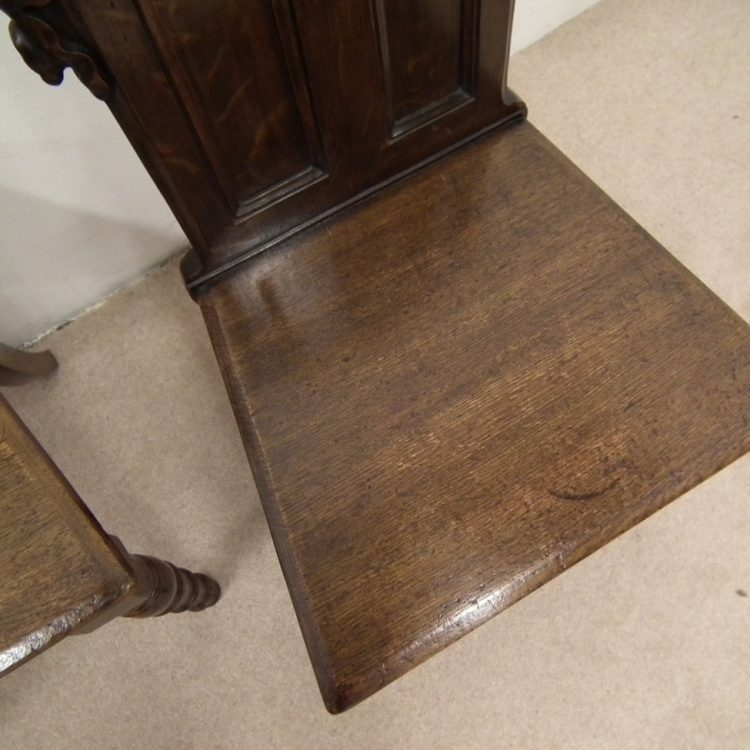 The seat features a moulded edge and all stands on ring turned front supports with outswept back legs.